When will be Gundam Wing next episode air date? Is Gundam Wing renewed or cancelled? Where to countdown Gundam Wing air dates? Is Gundam Wing worth watching? Nearly two hundred years had passed since humanity departed from the Earth to start new lives in space colonies. The United Earth Sphere Alliance, who had abolished all the nations of the world and had taken control of the planet is now threatening to extend that control over the independent space colonies. Within the Alliance, a special group known as the Organization of the Zodiac(OZ) which is responsible for the Alliance's actions, aims to take center stage. Unwilling to yield to the Alliance, the colonies send 5 young men in Mobile Suits known as Gundams to destroy OZ and preserve the colonies' independence. 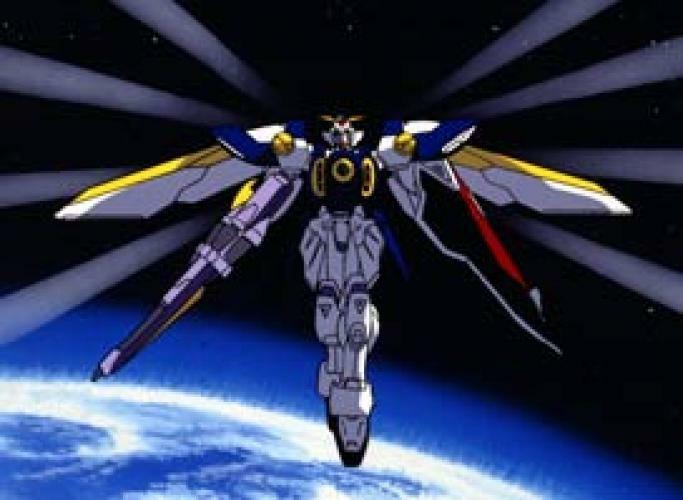 EpisoDate.com is your TV show guide to Countdown Gundam Wing Episode Air Dates and to stay in touch with Gundam Wing next episode Air Date and your others favorite TV Shows. Add the shows you like to a "Watchlist" and let the site take it from there.